As you may already know, I had a story titled Crouching Seal, Sleeping Dragon published in a shared-world type of anthology called Sha’Daa: Pawns in 2012. It was pretty well-received all in all, and I created one my favorite characters to date. Fast forward to this evening. The editor/creator of the series, Michael H. Hanson, sent me an email asking me if I would mind moving my story from Pawns (which was already released) over to his re-release of Sha’Daa: Tales of the Apocalypse, which he had originally published years ago. One of the short stories didn’t want to change publishers (over to new label Copper Dog), and Michael had an opening, so… yeah. I offered to write a new story for the series, and he tentatively agreed to allow me to write a replacement story for Pawns. So yeah, happy happy. 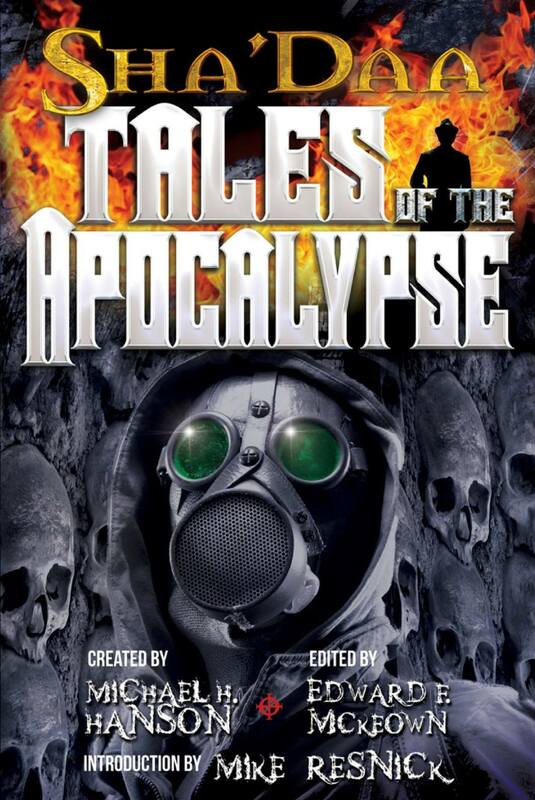 Here is the newly redesigned cover of Tales of the Apocalypse. I’m digging it personally, and I know my friend Ahren would love the gas mask.